Confirmation begins at baptism and continues until a person is called to be with God in heaven. Confirmation includes a public ceremony in which baptized youth receive a blessing and publicly affirm the vows made at their baptism. Classes are on Wednesdays from 4:00 pm to 5:30 pm starting the Wednesday after Labor Day and commencing on to Palm Sunday, with a Confirmation Rite. †Identify themselves as members, as a unique and special part of the body of Christ, as Lutheran and members of a local congregation. †Celebrate the relationships that they have with God as their personal God who loves them graciously, their pastor and other confirmation staff people, their peers participating in the confirmation process, their family and other members of their congregation. †Grow in the knowledge of the unique history of the Lutheran reformation and of the Lutheran Church in North America. †A desire for lifelong growth in the Christian faith. CATECHESIS - All that the church does in the total education process from the baptismal font to the grave. 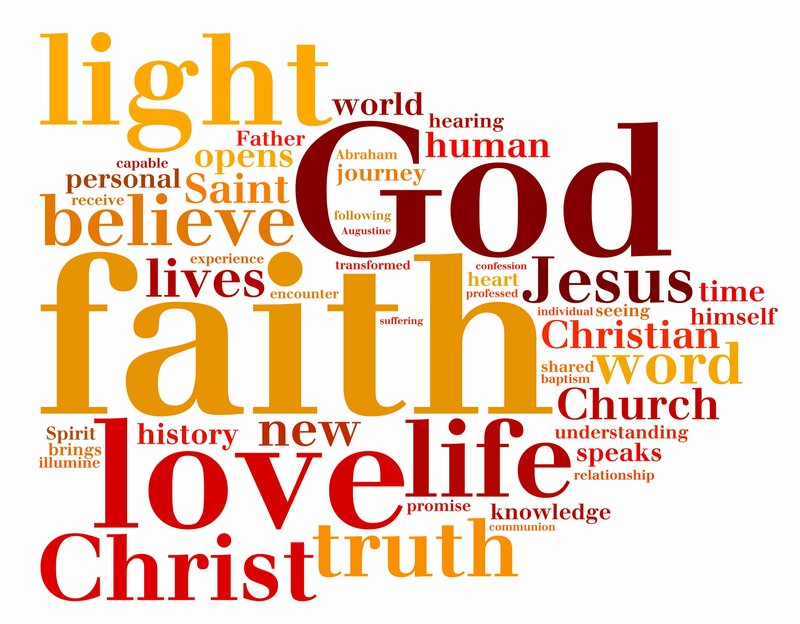 Confirmation is one piece of that process, involving a relationship between a catechist and a catechumen around Holy Scripture and the catechism resulting in faith formation. CATECHISM - A book containing systematic questions and answers to teach basic doctrines. In Lutheran circles the reference is to Luther's Small or Large Catechism. CONFIRMAND - A person preparing for confirmation. Also used to refer to those who have just been confirmed. CONFIRMATION - A rite of the church in which a confirmand publicly affirms or confesses the faith into which he or she was baptized. This rite follows a period of instruction in the basics of the Christian faith. CONFIRMATION MINISTRY - Youth confirmation ministry is a nurturing, educational and relational ministry of the congregation to help baptized children identify more fully with the Christian community and participate more fully in its mission, celebrated in a public rite.